The Sun, whether it is the natal or progressed Sun, speaks of your vitality, energy and your ability to recuperate. It also deals of the ego and your ambitions. It governs the success you are able to attain in life. The Sun also is representative of the Father and other male authority figures prominent in your life. The progressed Sun moves one degree per year and over a period of your lifetime will not move too far from its original position at birth. It will make semi-sextile to the natal Sun at 30, the semi-square at 45 and the sextile at 60. For those lucky enough to live into their nineties, they will experience the square at age 90. It will also make many aspects throughout your lifetime to other planetary placements in the birth chart, including the Ascendant. 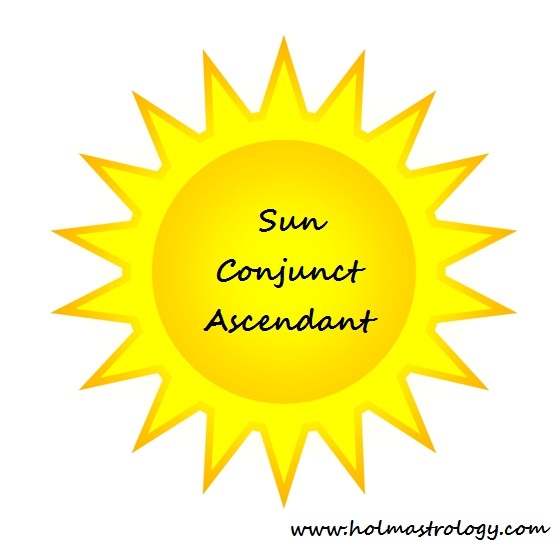 In order for it to reach the Ascendant, the natal Sun must be within 90 degrees of the Ascendant (11th -12th house) at birth to make any connections to this very significant placement. 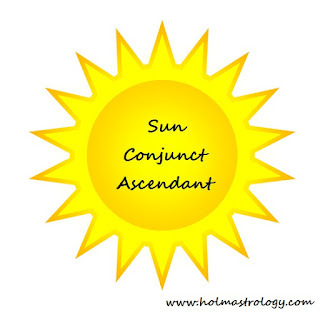 The effects of the Progressed Sun on your Ascendant would be a three year aspect and the middle year would be the most significant as that would be when it becomes direct (0 degrees in separation to this placement). This conjunction can produce both challenging conditions and easy reinforcing life conditions that will aid you in moving forward. This is due partly to the transits that will make contact to this placement over the suggested period of time. When a conjunction occurs, there are often potential opportunities for advancement in your profession. At times people in authority will aid you (if you experience this aspect) in achieving your goals and will become a motivating factor. In some cases these opportunities may come to the father. In a woman’s chart, this is often a time of marriage or engagement. This is an opportune time for meeting a suitable partner, especially if the Vertex is involved or Venus and Jupiter. 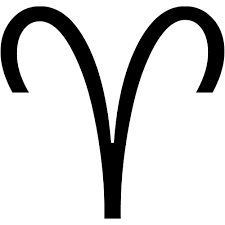 The health is usually good when the conjunction has easy aspects from transits affecting it. One goal that you would have if you experience this aspect could be to achieve success. If, however, this conjunction is receiving challenging aspects from other planets in transit, especially outer planets, the chances for success are greatly diminished or you may have to work very hard in order to achieve the same level of success that the easy flow aspects would create. Much of what transforms depends on which planet is transiting the conjunction and its house placement as well as its house placement in the natal chart. You can also look to the house it rules in the natal chart to get more information as to how events might unfold and what areas of life will be involved. There may also some health difficulties although you would have to look at the overall condition of the natal Ascendant and Sun as well as any planets in the twelfth house (if poorly aspected) as this is known as the house of ingrained health issues. When the progressed Sun advances towards the Ascendant you will feel a draw to make changes to your life that would enhance your world. Some will make changes to their appearance while some become involved in exercise routines that enhance the body. Paying close attention to your well-being is always recommended and especially so when this conjunction is (again if you were born with the Sun in the 11th or 12th house) about to take hold in your life.